37 Responses to Why do so many German doctors practise homeopathy? Blimey. That is significant. Does anyone know if the patient has to pay any of the €180? You might find it refreshing. It seems that there are other reasons that doctors use homeopathic medicine and that the German people seek out homeopathic treatment. You might try learning about it rather than providing misinformation. and now you try to teach me about the motivations of German homeopaths! don’t you think I know a thing or two more about this than you? did you know, for instance why “the German Medical Association has announced its support for homeopathy and for reimbursement for homeopathic care”? could it be due to the fact that its president is married to a homeopath? If the President of the German Medical Association is a HIGHLY respected physician (we CAN assume this) and if he believes strongly in “scientific medicine” and “evidence based medicine” (and we CAN assume this too), then, he must have some strong experience that he TRUSTS from his wife from her experiences with homeopathy. Like I previously said, you are too much like Donald Trump. You have an “us” and “them.” You trust YOUR experiences but no one else’s. I asked for “evidence” from randomized double-blind and placebo controlled trials, and you have not produced any. You simply expressed shock that I would ask for “evidence.” The suggestion that you provided via Google did NOT produce the evidence you promised (and you KNEW this!). As for the German football players…these are super-star athletes who perform at the TOP of their game and who REQUIRE the best results possible. Please explain why so many of their doctors consider the use of homeopathic medicines ESSENTIAL to these sports superstars? I know, Dana, everyone pro-homeopathy is SUPER, while everyone contra is the opposite. life must be good with a simple mind. btw, trusting experiences is the game of the homeopaths; scientists prefer evidence, facts etc. Mr. Ullman, observations and assumptions like these do not qualify as evidence (not even CIRCUMSTANCIAL evidence, let alone DIRECT evidence). Thank you for explaining on what “evidence” base you form an opinion… you do not need direct evidence, not even circumstantial evidence, apparently hearsay and assumptions is all you need. Please stop lecturing us about “evidence”. Do Dana’s CAPITALISED words not CONVINCE you? Surely, that must come as a surprise to him. Maybe he and his fellow charlatans should learn that capitalisation and exclamation marks are an almost failproof sign that the message is not worth reading. Where did you ask for evidence from DBRCCTs? Wasn’t that in a previous thread? Involving surgery? It’s something you’ve asked many times and your errors in asking for such evidence in such cases has been explained to you many times. You’ve either failed to understand this, forgotten this or, more likely, deliberately chosen to ignore this because it demonstrates once again your complete stupidity. Carry on posting your rubbish, Dana. Your posts are useful as exercises for my 11 y/o son and his friends as I teach them about logical fallacies. he should get a doctorate for that! In fact, I will just give him one. you bragging about your knowledge of “evidence” on this blog reminds me of a wrong-way driver, claiming that every car coming in your direction is on the wrong track. This is because when you use this term, you obviously do not use it in the way we are used to use it when discussing medical treatments, i.e. in the scientific sense. In this sense, ANECDOTES (e.g. from soccer players or their doctors) are not EVIDENCE. You have been told this over and over on this blog, but do not seem to understand it. Since you probably do not talk about SCIENTIFIC evidence when you use this term, could you please define what YOU mean when you talk about evidence and how this relates to medical treatments? Football? Many medicines are on the WADA Prohibited Substances list. FIFA uses that list in its anti-doping regulations. Whilst Therapeutic Use Exemptions applications can be made, they can’t really be justified for minor self-limiting conditions and so on. Sports medicine/physiotherapy is full of all sorts of quackery – but there is an element of psychology involved. It’s not just placebo (which can be highly theatrical), it’s also the lucky talisman thing. Dumbo and his magic feather. Professional sport is so removed from the everyday world, it’s a very poor justification/comparator. And as long as the doctor only takes a history, and concludes, “There is no homeopathic remedy which will help you, so I will not provide one”, that seems ethical. “I am going to question you about your health in a system devised 250 years ago by a Doctor Hahnemann, and which might suggest certain ‘homeopathic remedies’ are indicated. I must tell you there is no plausible reproducible evidence those remedies will provide benefit. Because I will spend 40 minutes with you taking your medical history according to homeopathic principles, you might better come to terms with your condition and so our consultation might benefit you. If you are content to proceed with that understanding, let us start…”. How could such a difference in compensation exist? That’s absurd. Is the payment differential like that in other areas? If so, why go to medical school unless you really are altruistic. For people who claim to want “evidence,” it is remarkable how much the people here mis-use information. 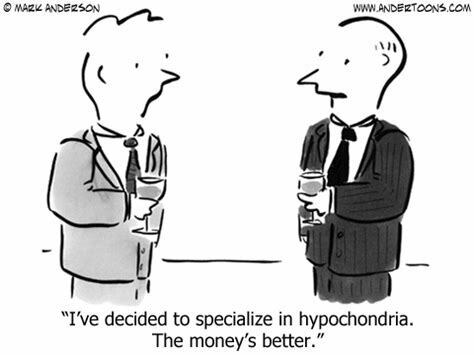 A homeopathic consultation is usually one-hour (or more)…while the average conventional MD visit is around 5-10 minutes…and as for the costs, conventional MDs require a long list of often expensive laboratory reports, none of which are required for a homeopathic prescription. are you sure you have understood my article, Dana? So, homeos spend an hour with a patient, listening intently (I’m sure) and then give them a “treatment” that does nothing. For that, they charge 180 Euro? Nice. You wrote, “and as for the costs, conventional MDs require a long list of often expensive laboratory reports, none of which are required for a homeopathic prescription.” What does that have to do with the cost of taking a history? Because lab reports are expensive, the consultation should be cheap? Makes no sense, Dana. Wow, Ron, you’ve really gone out of your way to get confused…and I’m gonna leave you confused because you prefer it that way. Revel in your ignorance, Ron. Name-calling is the sign of a weak argument, Dana. Like all arguments from homeo apologists. You know, you could clear all this up with some real evidence. Given your so-called arguments, that’s not likely to happen. Off to revel in my ignorance. Peace out. What “name” did I call you? I wrote that you were “confused.” THAT is not name-calling. As for name-calling, you called me a “homeopathic apologist.” You skeptics are too much like Donald Trump. You project your own deficiencies onto others. You provide a classic case of this…and this simply proves your own intellectual dishonesty (this is not “name-calling”; it is a description of a behavor…big diff). Are you even dyeing your hair orange? Try to get back to the argument, Dana. So far, you’ve uttered nothing but nonsense (that, if it wasn’t so harmful to vulnerable people, would be quite amusing). Your arguments are, at best, weak and, at worst, deadly. Trying to convince you or asking you to deal with real facts, however? Pointless. Sort of like your so-called treatments. Please note how much support you are getting here and act accordingly. In his book “Homeopathy, Medicine for the 21st Century”, Ulman claims that homeopathic remedies have been successful in treating AIDS, herpes, influenza, bladder and ear infections, meningitis, plague, cholera, scarlet fever, yellow fever, typhoid and strep throat. He predicts homeopathic remedies will largely replace antibiotics. He says it is not so important to know what microorganism has infected a person as it is to know what kind of woman the microorganism has infected. For example, a sepia woman is one whose constitutional medicine is homeopathically prepared cuttlefish. She is overworked, assertive, outspoken, irritable, quarrelsome, sexually frigid, and has low thyroid hormone levels, low blood pressure and adrenal insufficiency. Also, he says that a correctly prescribed homeopathic remedy tends to work immediately, but elsewhere says after the remedy is given the patient commonly gets worse before getting better — the homeopathic “healing crisis.” One of the products he peddles is a “homeopathic tranquilizer” containing passion flower, hops and chamomile. Herbalists consider these to be tranquilizers in normal doses, so they should be stimulants in homeopathic doses. When I asked him about this, instead of explaining himself he threatened to sue me. For much more on this as well as naturopathy, Chiropractic and other trendy systems see my book, “A Consumer’s Guide to ‘Alternative Medicine'” published by Prometheus Books and edited by venerable quack buster Stephen Barrett, MD. I was not aware that the traits of an infected person are more important than the characteristics of the pathogenic microbe when treating a microbial infection! This is very embarrassing for me, since I just finished a beginner’s course on microbiology with 300 students and –because of my ignorance- did not tell them about the important findings from Mr. Ullman! I just taught them about outdated concepts like e.g. pathogenic microorganisms, toxins, molecule structures, and protein-, nucleic acid- or cell wall synthesis inhibitors. I also told the students about the tremendous difficulties of finding new antibiotics against multi-resistant bacteria and new strategies to achieve this goal today. Shame on me, there´s no way around it, I have to take responsibility that I did not even know that homeopathic remedies will soon replace antibiotics, solving this problem once and for all! Dana’s capacity to self-contradict goes on and on. Homeopathy has to be individualised, apart from when it doesn’t is another one of his favourites. I’m unfamiliar with the detail of how healthcare works in Germany or the behaviour of German consumers. Whilst I’ve been to Germany numerous times, never had the misfortune to suffer anything other than minor self-limiting conditions. Something I have noticed in my travels is that different countries can have very different “folk medicine”/self-care traditions. To a degree what is available as OTC in pharmacies and retail outlets is influenced by that. It could also be argued that proprietary OTC medicines have also become part of “folk medicine” – would qv irrational brand loyalty to useless overpriced cough mixtures, etc. And from observation, this can be a family thing. Granny used it, so mother used it, so I use it on myself and the children. Even with effective products, brand loyalty exists and some consumers will swear by branded products and claim generics not as effective etc. Personally, I resent paying a massive premium for branded paracetamol and ibuprofen but others don’t. Do Germans visit the doctor more often that other EU nations? Do they visit the doctor for more minor conditions? Is there a greater expectation that a visit to the doctor necessarily results in a prescription of something? I suspect cultural differences can be much greater than initially thought. Sounds suspiciously like someone is practicing homeopathic-psychology: projecting, deficiencies, intellectual-dishonesty and spurious diagnoses. Interesting how your homeopathic remedies and your reasoning-powers both share a common denominator i.e. they don’t exist in reality. People claim there is no scientific evidence for homeopathy. That’s because those in the medical field don’t want to research it, as it would not help their cause. You’re only interested in what will make YOU money. Research on homeopathy could take it away from you. You call Dana close minded, possibly she’s biased, but she asked for evidence and I still don’t see you giving much. She never said you were bad and that pro- homeopathy were “super”. Jumping on the defense and calling someone who thinks differently than you close minded is exactly what close minded people do. And your attacking of Dana is very unprofessional. Why can’t this be a conversation where everyone learns and has a mature discussion with the exchanging of ideas? Attacking someone, assuming others thoughts, and name calling doesn’t achieve anything. I read this article to learn more about homeopathy and I learned more from Dana than you, because, as she said, your details, evidence, and facts were sparse. 6) this is not about ‘ideas’ but about demonstrable facts. “The Defendant presented the testimony of Gregory Dana Ullman who is a homeopathic practitioner. He outlined the theory of homeopathic treatment and presented his opinion as to the value and effectiveness of homeopathic remedies. The Court found Mr. Ullman’s testimony to be not credible. Mr. Ullman’s bias in favor of homeopathy and against conventional medicine was readily apparent from his testimony. He admitted that he was not an impartial expert but rather is a passionate advocate of homeopathy. He posted on Twitter that he views conventional medicine as witchcraft. He opined that conventional medical science cannot be trusted. Rachel, you might want to look at this. This argument (such as it is) is so tired, it’s fallen asleep on my lap. Now I’m scared to move for fear of waking it up.